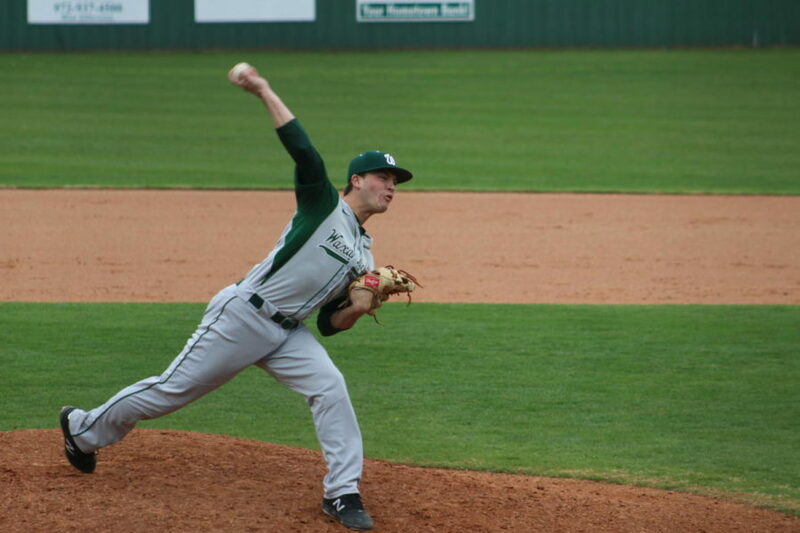 The Waxahachie Indians continued their district-opening winning streak on Friday with a come-from-behind road win over the Cedar Hill Longhorns by a score of 5-2. Cedar Hill would strike first in the first, opening the scoring with an RBI single by Jackson Higman. Waxahachie was able to advance a runner as far as third base, but Longhorn hurler Tony Gonzalez was able to shut the door. After four straight scoreless frames, the Tribe finally solved the Gonzalez enigma with a game-tying RBI double in the 6th off the bat of Sage Hampton. One inning later, Indian first baseman DJ Hollywood drove in the run that put the visitors up for good. Indian starting pitcher Jordan Fay went the distance, striking out four on 95 total pitches, and Hampton finished the game with 3 RBIs. The Indians (4-0 in district 7-6A) open their two-game set with the Eagles of Mansfield Lake Ridge (3-1) on Tuesday at Paul Richards Park, with first pitch at 7 PM. The game can be heard on KBEC 1390 AM/99.1 FM.